Type 2 diabetes (T2D) tends to run in families, and over the last five years the application of genomic technologies has led to discovery of more than 60 specific DNA variants that contribute to risk. My own research laboratory at NIH has played a significant role in this adventure. But this approach doesn’t just provide predictions of risk; it may also provide a path to developing new ways of treating and preventing this serious, chronic disease that affects about 26 million Americans. In an unprecedented effort aimed at finding and validating new therapeutic targets for T2D, an international team led by NIH-funded researchers recently analyzed the DNA of about 150,000 people across five different ancestry groups. Their work uncovered a set of 12 rare mutations in the SLC30A8 gene that appear to provide powerful protection against T2D, reducing risk about 65%—even in the face of obesity and other risk factors for the disease . All of the newly discovered mutations lead to the production of absent or abnormally shortened proteins that don’t function properly. That’s terrific news for researchers looking for new ways to treat and prevent T2D, because it’s generally much easier to develop drugs that inhibit proteins than ones that boost their activity. In T2D, the body does not produce or use insulin properly, causing levels of glucose in the bloodstream to rise. Over time, this leads to heart disease, stroke, blindness, nerve damage, kidney damage, and amputations. Weight loss, a healthful diet, and exercise can all reduce glucose levels, but when these approaches fail, patients must take oral medications, insulin, or sometimes both [3,4]. How do the SLC30A8 mutations fit into this picture? More research is needed, but we do know that the gene encodes a protein, called zinc transporter 8 (ZnT8), that plays an important role in the insulin-producing cells in the pancreas. ZnT8 is responsible for packaging zinc ions with insulin crystals, which are then secreted from the beta cells in the pancreas. Recent studies also suggest that this protein is important in insulin-clearance in the liver . So, perhaps drugs that mimic the effect of SLC30A8 mutations—that is, inhibit ZnT8—may offer a new strategy for diabetes prevention. The quest to find genes that protect against T2D began when researchers from the Broad Institute of Harvard and MIT, Cambridge, MA; Massachusetts General Hospital, Boston; Pfizer, Inc., South San Francisco, CA; and the Lund University Diabetes Centre in Sweden, decided to sequence 115 genes previously associated with diabetes risk in 758 people from Sweden and Finland. About half of the participants were lean, elderly non-smokers with good health habits who, surprisingly, had T2D. The others were obese (average BMI of 35) elderly people who smoked and drank, yet had normal blood glucose levels. This second group, the researchers hypothesized, might benefit from a protective genetic mutation—and, indeed, DNA sequencing uncovered such a candidate in a few of these individuals: a rare “nonsense” mutation in the SLC30A8 gene. The researchers then looked for this mutation in almost 50,000 more Finns, Swedes, and other Europeans, and calculated that the mutation cut the risk of T2D in half. To validate their findings, the researchers joined up with deCODE Genetics, which has genomic data on about 85,000 residents of Iceland. A search of the deCODE database turned up another rare mutation in SLC30A8—one that reduced risk of T2D by about 80%. Expanding their work even further, the Broad team then partnered with two other consortia—Go-T2D (the Genetics of Type 2 Diabetes) and T2D-GENES (Type 2 Diabetes Genetic Exploration by Next-Generation Sequencing in Multi-Ethnic Samples)—to examine the SLC30A8 gene in an additional 13,000 people. This revealed 10 more rare mutations in SLC30A8 that appear to protect individuals of African-American, East Asian, and South Asian ancestry from T2D. You might be interested to learn that the new findings came as a bit of a shock to many in the T2D research community. That’s because some—but not all—studies in mice indicated that knocking out the SLC30A8 gene actually raised the animals’ risk of T2D [6,7]. So, researchers will need to add the mouse-human discordance to list of important questions to address as they look ahead to translating their new discoveries into better treatments and cures. Finally, I find the new T2D work particularly exciting because it foreshadows the potential of NIH’s new Accelerating Medicines Partnership (AMP), an unprecedented effort in which NIH, 10 biopharmaceutical companies, and various non-profit organizations are coming together to identify the most promising biological targets for diagnostic and drug development. In addition to T2D, AMP will initially focus on two other disease areas poised for rapid progress: Alzheimer’s disease and the autoimmune disorders, lupus and rheumatoid arthritis. Loss-of-function mutations in SLC30A8 protect against type 2 diabetes. Flannick J, et al. Nat Genet. 2014 Mar 2. 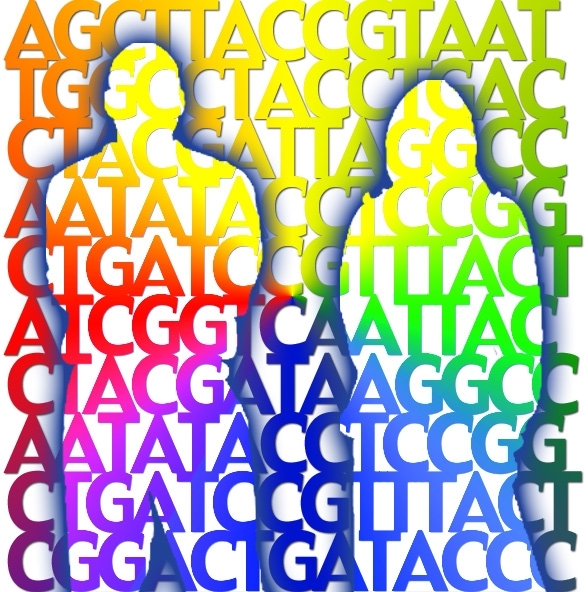 Validating therapeutic targets through human genetics. Plenge RM, Scolnick EM, Altshuler D. Nat Rev Drug Discov. 2013 Aug;12(8):581-94. The diabetes-susceptible gene SLC30A8/ZnT8 regulates hepatic insulin clearance. Tamaki M, Fujitani Y, Hara A, Uchida T, Tamura Y, Takeno K, Kawaguchi M, Watanabe T, Ogihara T, Fukunaka A, Shimizu T, Mita T, Kanazawa A, Imaizumi MO, Abe T, Kiyonari H, Hojyo S, Fukada T, Kawauchi T, Nagamatsu S, Hirano T, Kawamori R, Watada H. J Clin Invest. 2013 Oct 1;123(10):4513-24. Think zinc: New roles for zinc in the control of insulin secretion. Rutter GA. Islets. 2010 Jan-Feb;2(1):49-50. The physiological effects of deleting the mouse SLC30A8 gene encoding zinc transporter-8 are influenced by gender and genetic background. Pound LD, Sarkar SA, Ustione A, Dadi PK, Shadoan MK, Lee CE, Walters JA, Shiota M, McGuinness OP, Jacobson DA, Piston DW, Hutton JC, Powell DR, O’Brien RM. PLoS One. 2012;7(7):e40972. I hope it will work fine. It is just my point of view. I assume it can be wrong. Transcriptional units (TU) of DNA, called genes, segments that goes from an open reading frame to a stop codon, without taking into account other processing factors, may being read and latter translated in specific manner in some cells during some circumstances and others TU may be read always in all cells. However, it is fair to assume that they are used by proteins that works as determinants of well-regulated cell function as pieces of a slow-changing protein kaleidoscope. In case, some TU were found in families and were associated with some health condition, this may be taken as a very preliminary finding in terms of drug action. Interaction of the protein products coded by these TU may be due to one part of the surface of the molecule in one cell and by another one in another cell. Something that can be also observed in kaleidoscopic images.